Many world-class beaches and beach resorts line Argentina's Atlantic Ocean coastline, known around the world for their pristine white sands and opportunities for whale watching, surfing, and beachfront sports. Eclectic seaside towns such as Mar de Ajó offer lively beachfront tourist activities, while planned communities such as Villa Gesell, Pinamar, and Mar del Pampas are home to upscale rental homes, lodges, and chalets along the beachfront. Puerto Madryn is a quaint city within Argentina's Chubut province in Patagonia, originally settled in the late 19th century by Welsh immigrants. The city is located along the Atlantic Ocean gulf Golfo Nuevo, which is known for its abundant marine life, and serves as a gateway to the nearby Valdés Peninsula. As one of the world's top whale-watching sites, visitors flock to the city's beachfront between June and December to glimpse sightings of southern right whales, including baby whales. The region is also known as Argentina's diving capital, with ample opportunities for windsurfing, kayaking, and canoeing along its beautiful beachfront. Fishing trips offer opportunities for anglers to catch grouper, dogfish, and sea bream. 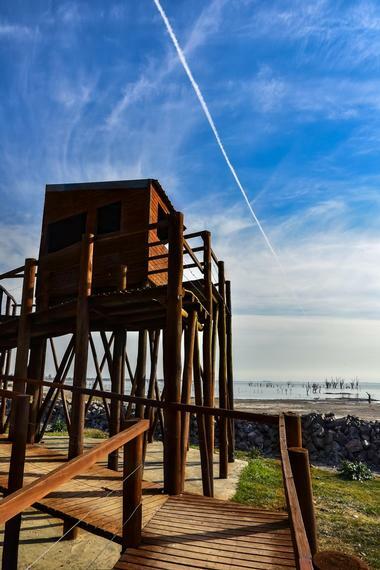 Villa Gesell is a charming seaside village in Argentina's Buenos Aires Province, originally founded in 1931 by Carlos Idaho Gesell, who began operating timeshares and tourist attractions in the area following the purchase of land for foresting industry work. 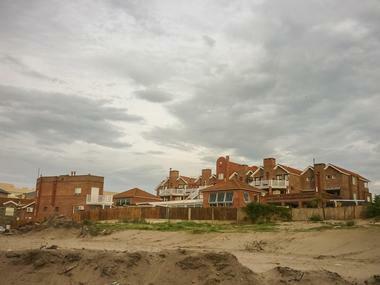 Since the 1960s, the formerly-closed community has been developed as a popular tourist destination, expanding to nearby settlement areas such as Las Gaviotas, Mar de las Pampas, and Mar Azul. 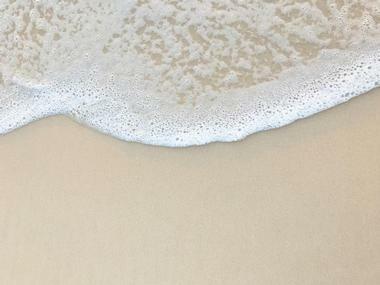 A six-mile beachfront area in the village is staffed by more than 150 lifeguards, offering softly sloping sands and a variety of spas and visitor amenities. 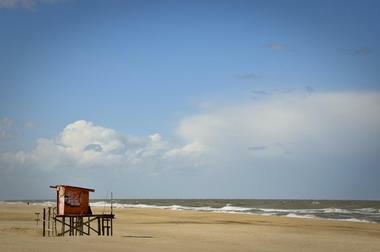 Nearby, Buenos Aires Province's second-tallest lighthouse can be viewed, which is surrounded by a natural reserve area. Las Grutas is an unspoiled beachfront area located approximately 15 kilometers from San Antonio Oeste along Argentina's southern coastline area. 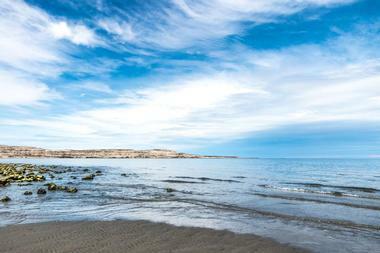 The beach's name, which translates to "The Caves" in English, is derived from its beautiful surrounding coastal cliffs. Despite its Southern Hemisphere location, the beach and its nearby Gulf of San Matias region claim the warmest water temperatures on the Eastern Seaboard, reaching nearly 27 degrees Celsius and providing highly swimmable water conditions long past peak tourist season. Popular recreation activities include opportunities for swimming, kitesurfing, and shore fishing, with many hiking trails available for use throughout the region. During February, several beauty pageants and bikini festivals are hosted in the region, including the Las Grutas Bikini Open. Mar de Ajó is an eclectic seaside town located on the Atlantic coast tip of Argentina's Buenos Aires Province, originally established as a fishing village in 1935. Today, the city is a popular summer tourist destination, home to Atlántida Argentina University and a wide variety of historic hotels and tourist destinations along its main business strip, including cinemas, arcades, pizza parlors, and a casino. Along its beachfront, visitors can view shipwrecks at the city's "ship graveyard," including the 1880 wreckage of the German Margaretha, which gave the town its original name of Playa La Margarita. A large town pier is also offered for fishing, along with courts for playing tejo, a game similar to bocce. 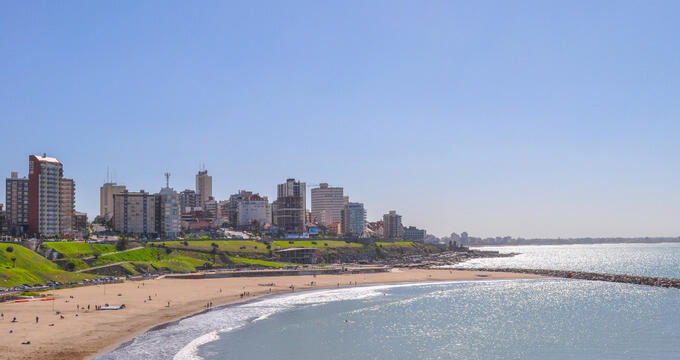 Miramar is a quaint beachfront town located approximately one hour from Mar del Plata, serving as a residential and retirement community for much of the year but swelling during the peak tourist season between December and March. Fantastic surf conditions are frequent during warm months, with surfing lessons offered at Parador Peche Escuela de Surf, while a secluded beachfront area is available at nearby Mar del Sud. Visitors can fish at the city's town pier or explore the nearby Bosque Energetico, a forested area that is reported to have mystical energy. The town is also home to the Miramar Casino, which offers more than 60 slot machines and 16 table games. 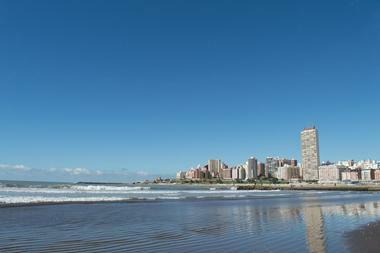 Mar del Plata is one of Argentina's most famous resort cities, located along its Atlantic Ocean coastline in the southern section of Buenos Aires Province. It is home to a population of more than 614,000 residents, but attracts well over seven million annual tourists each year. Beautiful beaches in the region include the expansive Punta Mogotes, the charming La Perla, and Playa Grande, a favorite surf spot. 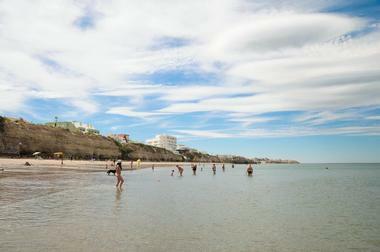 Playa Escondido, located approximately one hour from the city center, is a famed clothing-optional beach. Visitor attractions include the Juan Carlos Castagnino Municipal Art Museum, the Aqua Sol waterpark, and a large concentration of wineries and microbreweries. Upscale restaurants, casino resorts, and nightlife spots also abound, along with sporting events hosted at the city's Olympic-style multipurpose stadium. Cariló is one of Buenos Aires Province's top swimming resort cities, located along Argentina's Atlantic Ocean coastline and named for the Mapuche indigenous word for "green sand hill," a reference to its surrounding manmade forest. The formerly controlled town area is now publicly accessible as a resort town, offering beautiful beachfront areas and many hotels and rental lodges, cabins, and homes. In addition to swimming in the region's coastal waters, visitors can also go four-wheel driving on its spectacular sand dunes, with several companies renting all-terrain vehicles for guest use. Hiking and photography safaris embark from the town regularly, which is also home to an equestrian center, a golf club, and a bathing resort. Mar del Pampas is a charming Buenos Aires Province villages located approximately eight kilometers from Villa Gesell, considered to be an annexed resort town of the village. The village, which is commonly referred to as the "city without haste," offers a respite from more bustling tourist traps and a chance for visitors to reconnect with nature along its Atlantic Coast backwaters. 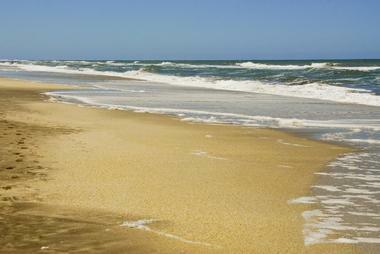 More than a million trees line the village, which is also home to expansive sandy beachfront areas. Popular beachfront activities include windsurfing and kitesurfing, with opportunities offered nearby for cycling, hiking, sandboarding, and horseback riding. 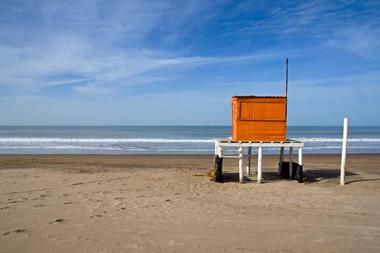 Monte Hermoso is a popular family resort located in the southern region of Buenos Aires Province, home to more than 32 kilometers of expansive Atlantic Coast beachfront. The beachfront region is renowned as Argentina's only spot where both sunrises and sunsets are visible over the water, with average temperatures remaining temperate and pleasant throughout the summer months due to wind currents offshore. 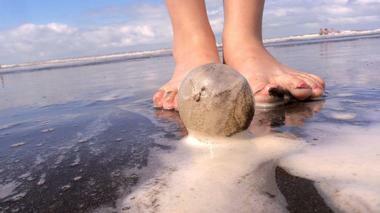 Popular beachfront activities include beach volleyball, sailing, jet skiing, and windsurfing. Anglers can also catch grouper, conger, whiting, palo fish, and ray's beams, while net fishers can scour for shrimps, prawns, and anchovies. Nearby tourist attractions include the region's Natural Sciences Museum, Recalada Lighthouse, and town casino, which offers blackjack, baccarat, and roulette tables. Pinamar is a quaint seaside community located approximately 250 miles south of Buenos Aires, home to more than 20,000 residents throughout the year. The Atlantic Coast city, which was developed into a planned community on an area of land that formerly was home to wild sand dunes, offers convenient access to several nearby beachfront towns, including Valeria del Mar, Ostende, and Cariló. Today, it is thickly forested with pine trees and has become a favorite beach getaway spot for wealthy tourists, offering ample opportunities for watersports such as windsurfing, wakeboarding, jet skiing, shark fishing, and motorboat riding. On the shoreline, beach volleyball, tennis, and five-a-side football games are frequent, while golf courses and horseback riding opportunities abound in nearby La Frontera.